LAST ONES LEFT ALIVE is the story of Orpen, a young woman who must walk on foot across a ravaged Ireland in the desperate hope of saving herself, and her aunt, from the zombie-like menace known as the skrake. Sarah Davis-Goff’s strikingly original debut will appeal to readers of dystopian literary fiction such as STATION 11 or THE END WE START FROM. Growing up on a tiny island off the coast of a post-apocalyptic Ireland, Orpen’s life has revolved around physical training and necessity. After Mam died, it’s the only way she and her aunt Maeve have survived the ravenous skrake (zombies) who roam the wilds of the ravaged countryside, looking for prey. When Maeve is bitten and infected, Orpen knows what she should do – sink a knife into her aunt’s eye socket, and quickly. Instead, she tries to save Maeve, and following rumours of a distant city on the mainland, guarded by fierce banshees, she sets off, pushing her aunt in a wheelbarrow and accompanied by their little dog, Danger. It is a journey on which Orpen will need to fight repeatedly for her life, drawing on all of her training and instincts. In the course of it, she will learn more about the Emergency that destroyed her homeland, and the mythical Phoenix City – and discover a starting truth about her own identity. Bleakly beautiful. A raw emotional depth charge of a novel. 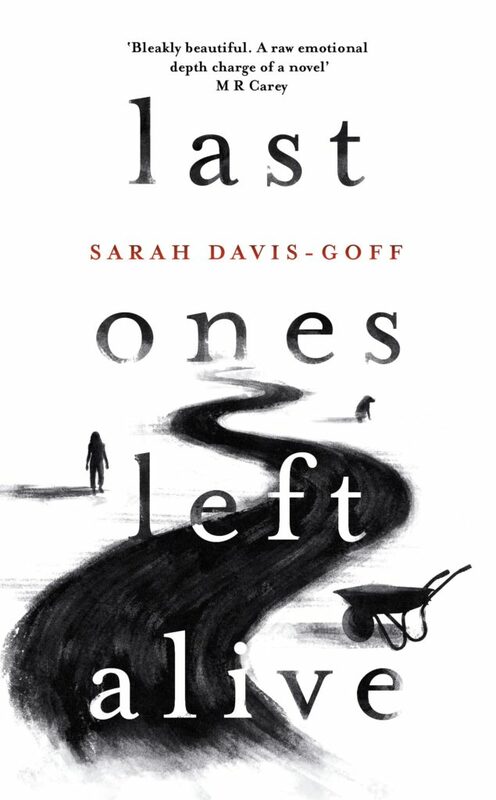 Last Ones Left Alive is a debut novel of jaw-dropping skill and immense power, a shimmering dystopian vision but also a lucid meditation on tenderness, intimacy and courage. From the get-go, it gripped me, and since the last page I've been haunted. Last Ones Left Alive gripped me as much by the heart as it did by the throat. A stormer of a debut, Davis-Goff has created an urgent, assured, terrifying tale of destruction, humanity, and love. Ferocious and Chilling, but brimming with real humanity. Crisp and evocative. The dialogue crackles and sparks. Kept me awake until 2am. A triumph.